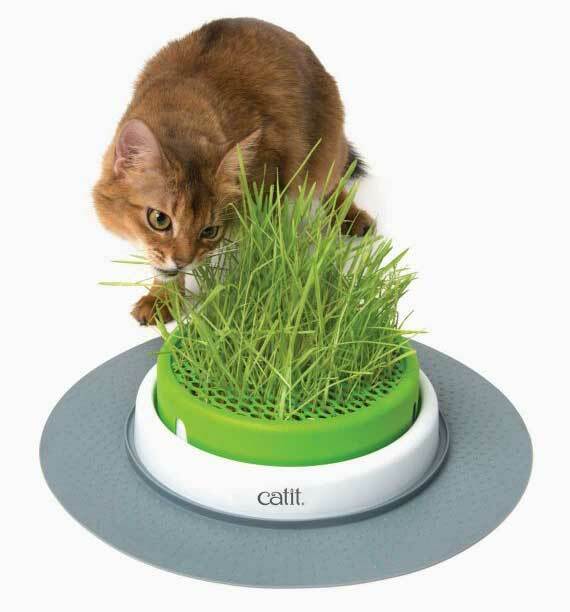 The Catit Garden aka the Catit Senses 2.0 Grass Planter has been designed to eliminate the mess with indoor cat grass. If your cats are like mine, indoor cat grass was a mess. I would always catch the kitties digging in the grass and throwing dirt out of the container. 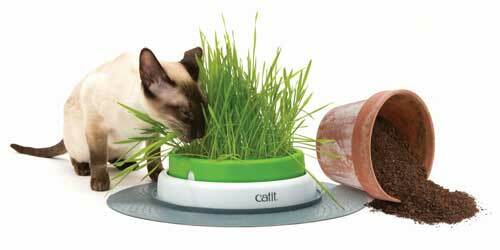 With the Catit Garden, the mess is a thing of the past thanks to a unique design. The seeds are sold separately. 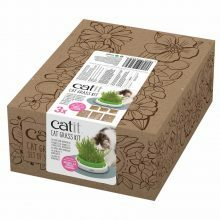 You will need to also purchase the Catit Cat Grass Kit (#43162). Each kit comes with 3 pouches of seeds and 3 pouches of vermiculite.